The palm in the foreground is phoenix canariensis - the Canary island date palm. The tall grass behind is Miscanthus floridulus, a hardy grass growing to this height in one season. 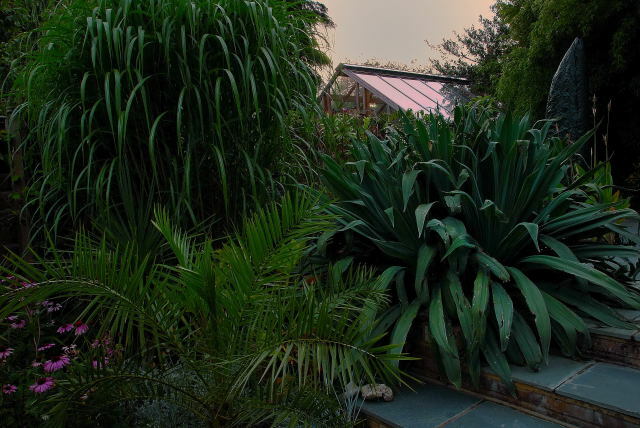 To the right is Beschorneria yuccoides. Echinacea purpurea 'magnus' lends colour to this arid section of the garden.